Today we played in a bluebell patch. We left the dishes unwashed, crumbs on the floors, toys and chairs overturned in the wake of the beautiful chaos that is childhood. Instead of cleaning and stressing over everything there always is to do, we chose to get outside and spent the morning enveloped in sunshine and flowers. To me, this is far more important, this cultivation of a relationship with the great outdoors and the power of nature to sooth our often-hurried souls. When we’re in nature, we tend to forget about the clock, and that makes me happy. I believe that makes my little one happy, too. Her resistance to the urgency I often find I’m pushing on her – “Hurry up, it’s time to…” – frustrates me. Sometimes we do have to be timely, even though mostly we lag behind. I don’t think rushing is ever a beneficial thing. We lose so much when we rush. We don’t stop and smell the flowers, forgetting that life is about more than the schedule of appointments and errands. When I stop to think about the kind of childhood I want my little one to remember, rushing from place to place is not a part of my vision. Why, then, is it happening so often? I read something recently that gave me a new perspective. It was along the lines of this: We need to stop the glorification of ‘busy’. Busy does not mean successful. (I wish I could remember who mentioned this, as I’d like to give them credit. Please let me know if this was you.) This thought has embedded itself in my brain. It cuts close to home. For a long, long time I have considered being busy a sign of success. However, with my life as busy as it has been of late, I have to admit that being busy doesn’t make me feel successful. Instead I feel rushed, disorganized, and unhappy. I feel like I’m doing a ton of things without excelling at anything. Since reading this tidbit of wisdom, I’ve been making choices. Choices about what really, truly needs to be done, and what I can let go of. How I can make myself less busy, and allow myself to feel at peace in simply enjoying my life. How I can do the same for my daughter. I want us both to succeed in feeling happiness, not hurriedness, and connecting to the timelessness of nature. I want us to get outside more often, and to rush around less. Words tend to be what sparks my brain into new understandings, better able to take on new perceptions. Here are some pieces that I want to share with you, in the hopes that these quotes and passages might do for you what they’ve done for me, reworking my mind’s priorities. I’ll start off with a couple passages from Deb Curtis and Margie Carter’s Learning Together with Young Children, one of my favourite Early Childhood Education text books. And now for some of my favourite quotes on giving children time and allowing them their right to get outside and experience nature. I would like to credit NatureforKids.net and ChildrenNatureAndYou.org as helpful sources for these quotes. 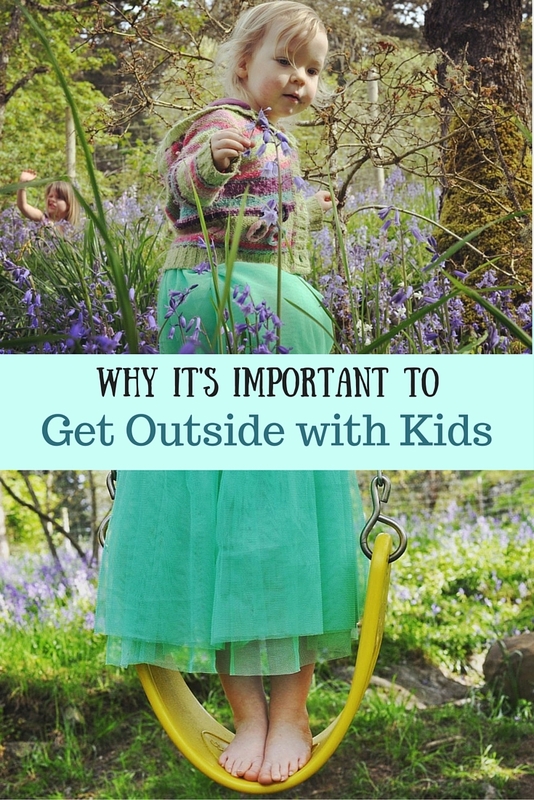 How do you feel about children spending time in the natural world? If you enjoyed this article, you can sign up for my newsletter here, and if you’d like to see more photos from our enjoyment of nature, follow me on Instagram. I also try to get outside as much as we can, but the valley CA heat does get the best of me. Oh I bet! I’m useless in anything over 25 degrees Celcius. Everyone just feels better outside in nature. Even when it’s pouring rain or snow, so long as you dress for it, the natural world is full of enjoyment! These pictures are absolutely beautiful. They really contribute to the overall feel of the post as well. Love the one of the swing!